Who hasn’t wished at some point that you could see the future? Well, would you still want that wish to come true if all you saw were the bad things in your future? That’s the issue tackled in GCC Member Linda Gerber’s new YA novel, TRANCE, which debuted this week through Penguin Speak. Linda: I don’t know about funniest, but the most adventurous was probably the time I flew out to Georgia to help my college roommate drive her car across country. The thing had a bad radiator and a dying alternator and it kept breaking down… like when it overheated in the middle of the desert on an empty stretch of road and we had to warm the ice water from the cooler by lining plastic water bottles along the asphalt (so we wouldn’t crack the radiator when we filled it up)… or when the alternator finally gave up in the wee hours of the morning and the only other people on the road were two drunk guys who really wanted to get us in their truck with them, but weren’t overly concerned about help for the car… Yeah. It was memorable. Linda: I always loved writing, but I never dreamed I’d be a writer. When I was little, I thought I’d like to draw, or paint, or dance, or something creative. I guess I was close. Linda: I didn’t have a big sweet sixteen party or anything, but in my family, we weren’t allowed to date until we were sixteen, and sixteen meant I could get my driver’s license, so my sixteenth birthday was a big deal – at least to me. Linda: I’m a pantser by nature, but I learned to outline by necessity since most of my books are a. mysteries, and b. sold on proposal. But I think of my outlines like the navi in my car; I set a destination, but if I need to change the route along the way, I can always renavigate. 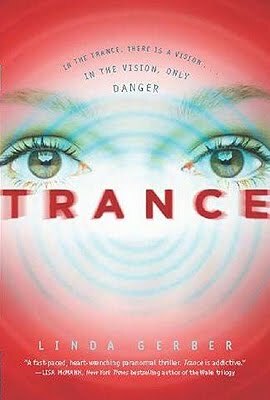 Linda: TRANCE is the first book I sold with my current agent so it was pretty exciting, even if I was too tired to notice at the time. The first book in my Death By Bikini Mystery series had just come out a couple months before and I was finishing up copy edits for book number two. It was summer break, and by then, the kids had been out of school long enough to be bored. So I was struggling to keep them entertained, waiting for the news, and juggling book promo and book edits and… I’m afraid (or glad, depending on how you look at it) that there’s no photographic evidence, but I was thrilled to get the news. Overwhelmed, but thrilled. ‹ GCC Member Lauren Strasnick Introduces The "Other Parent"